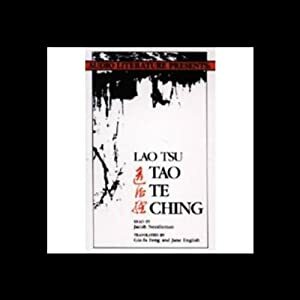 The Tao Te Ching is undoubtedly one of the most important pieces of literature in human history and after reading it, it is clear why Lao Tzu is considered to be one of the world's most influential people along with Jesus, Moses, Buddha and Muhammad. As humanity reaches new technological discoveries and planets light years away, it is time we start exploring within, and Tao Te Ching is the beginning. In dwelling be close to the land, in meditation go deep in the heart, in dealing with others, be gentle and kind, in speech be true, in ruling be just, in daily life be competent, in action be aware of the time and the season, no fight, no blame. Over Sharpen the blade, and the edge will soon blunt. Fame or self: Which matters more? Self or wealth: Which is more precious? Gain or loss: Which is more painful? He who is attached to things will suffer much. He who saves will suffer heavy loss. A contented man is never disappointed. He who knows when to stop does not find himself in trouble. He will stay forever safe. There is no greater sin than desire, No greater curse than discontent, No greater misfortune than wanting something for oneself. Therefore he who knows that enough is enough will always have enough. The world is ruled by letting things take their course. It cannot be ruled by interfering. Keep your mouth shut, Guard the senses, And life is ever full. Open your mouth, Always be busy, And life is beyond hope. Those who know do not talk. Those who talk do not know. Keep your mouth closed. Guard your senses. Temper your sharpness. Simplify your problems. Mask your brightness. Be at one with the dust of the Earth. This is primal union. He who has achieved this state Is unconcerned with friends and enemies, With good and harm, with honor and disgrace. This therefore is the highest state of man. Sweet words can buy honor; Good deeds can gain respect. If a man is bad, do not abandon him. Practice non-action. Work without doing. Taste the tasteless. Magnify the small, increase the few. Reward bitterness with care. See simplicity in the complicated. Achieve greatness in little things. In the universe the difficult things are done as if they are easy. In the universe great acts are made up of small deeds. The sage does not attempt anything very big, And thus achieved greatness. Easy promises make for little trust. Taking things lightly results in great difficulty. Because the sage always confronts difficulties, He never experiences them. People usually fail when they are on the verge of success. So give as much care to the end as to the beginning; Then there will be no failure. If men are not afraid to die, It is no avail to threaten them with death. Under heaven nothing is more soft and yielding than water. Yet for attacking the solid and strong, nothing is better; It has no equal. The weak can overcome the strong; The supple can overcome the stiff. Under heaven everyone knows this, Yet no one puts it into practice. Therefore the sage says: He who takes upon himself the humiliation of the people is fit to rule them. He who takes upon himself the country’s disasters deserves to be king of the universe. The truth often sounds paradoxical. Truthful words are not beautiful. Beautiful words are not truthful. Good men do not argue. Those who argue are not good. Those who know are not learned. The learned do not know. The sage never tries to store things up. The more he does for others, the more he has. The more he gives to others, the greater his abundance.